Gnomos is a tango theatre performance with live music for whole family. It tells about nature’s importance, mischievous selfishness and true companionship. 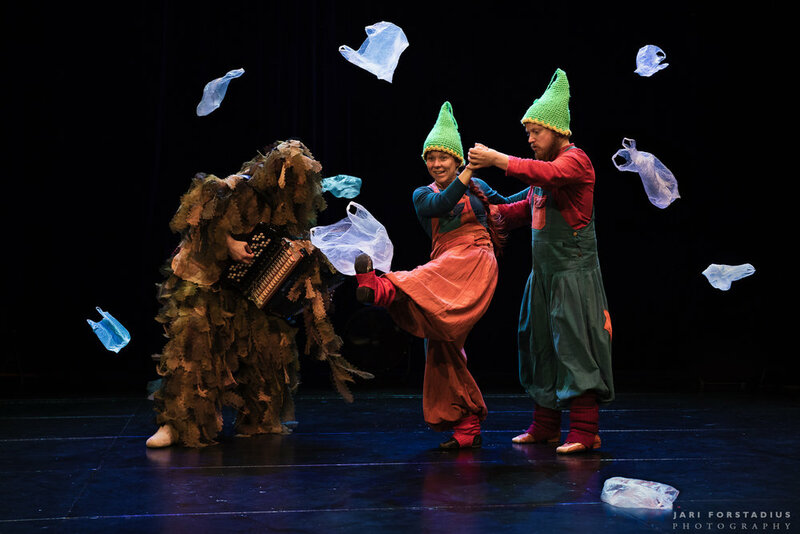 The characters of the show are two Finnish forest gnomes Villiina&Vihmo, and their accordionist friend Sammale. 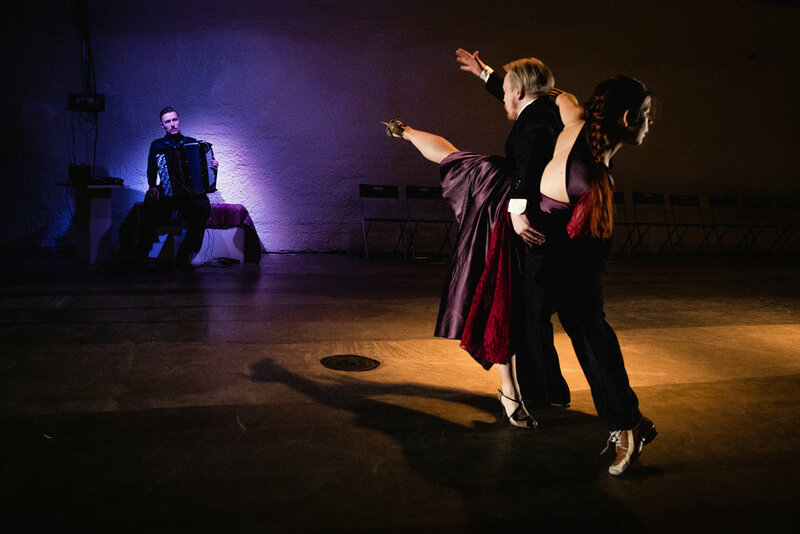 Tango Impulso is a fully improvised Argentine tango performance where the live music and the movement are both created in the moment. Chess Piece is a very physical tango theatre performance about partnership of opponents. This duet drills into playing thematics, strategies and rules with cunning and mischievous touch, but also by brute strenght if needed. The characters on the board are brought to life by means of physical theatre. The movement vocabulary is a mixture of argentine tango and partnering techniques of contemporary dance. Troll tango is a colourful, wordless tango adventure for the whole family. It is a story about a friendship between a human boy and a troll girl, which is carried on by means of argentine tango, physical theatre and live music. Troll tango encourages it's audiences to accept indifferences and experience the power of dancing together.